A step-by-step guide to purchasing eBooks! 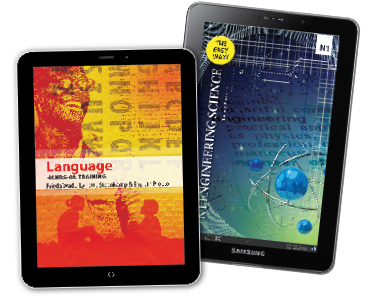 Future Managers’ eBooks are compatible with most Smartphones, Tablets, PCs and Laptops. 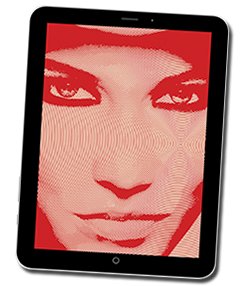 Our eBooks are available on Apple’s App Store™, Google play™, as well as on the Future Managers website. Please read the applicable section below to learn more about the process you will need to follow to purchase any of our eBooks. Store on your device. Download the “FM App” and complete the short registration form. You will now be able to view, purchase and download any of our eBooks. 1. We recommend using a WIFI connection to save data cost when installing our App or downloading an eBook. 2. On your Android™ tablet or smartphone, go to the Play Store App and tap on the magnifying glass. Type “Future Managers” and tap the return key to search. 3. Tap on the “Future Managers” App, then tap on “Install”. rmation box will open up with details of the App, tap on “Accept & download”. 5. e App will start installing and will take approximately 25 seconds to complete the installation when using WIFI on a 4MB ADSL line or a 3G connection. firm. You can always change this later in your settings. , and then on your App icons on the top right. Locate the App to open it. 1. We recommend using a WIFI connection to save data cost when installing our App or purchasing an eBook. 2. On your iPhone or iPad, go to the App Store and search “Future Managers” under “Categories” and tap “INSTALL APP”. 3. Please note that we have both an iPad and an iPhone version – tap on the applicable version to install our free App. 4.The App will start installing and will take approximately 25 seconds to complete the installation when using WIFI on a 4MB ADSL line or a 3G connection. 5. Locate the FM App on your device and tap on it. 6. When the App opens the rst time, you will be asked to “Register your information”. Tap “OK” to complete a very short registration form. If you tapped “Later”, when you wish to register, locate “Register” on the home page and tap it. 7.The “Register” form will appear automatically, complete the short registration form and tap “Register” when nished. 9. Please refer to the “Help” section on the bottom right corner to learn how to use the App. Institutions can, as is the case with textbooks, buy eBooks on behalf of their students! 1. An institution follows the normal ordering process (email & fax) to order an “eBook bundle” from Future Managers. c eBook. e student’s college or school email address is preferred since the student will use this email address when downloading the Future Managers App. rmed and a student’s email address and password is loaded on the eBook platform (by Future Managers) the student will be able to download the eBook onto his/her device of choice. 5. e student’s device could be a tablet, Smartphone or Personal Computer. c eBook via their device – see the “App Download” section. 7. The “paid for” eBook will show as “Owned” in the FM App and the student can proceed with the download. 8. NB – It is essential for students to use the same email address and password (as the one the Institution provided to Future Managers) when registering in the FM App for the rst time. 1. An Institution follows the normal ordering process via email, or ordering on the Future Managers’ website or by faxing an order for an “eBook bundle” from Future Managers. rmed) provide the Institution with download links to all the eBooks purchased. 3. These links will enable the institution to download the purchased eBooks onto its server. is will enable the institution to pre-load the eBooks onto their various devices whether they are handheld devices or PCs. • An IT specialist at the institution contacts Future Managers for assistance. a. The Server/Host must have access to the Internet. b. The Server/Host will have to have sufficient licenses that will allow multiple students to connect. c. The Server/Host must be accessible on the institution’s WIFI network with a specific IP address or name that will need to be sent to FM. 5. It is important to note that the download link will only allow the institution to pre-load the purchased number of eBooks onto the student devices. Authentication will happen for each student every time they open the book. If in a class, then all 30 students can type the same password, and it will not work the 31st time. 1. Locate the Future Managers App and open it. 2. Tap on “Editions” to see all the available eBooks. e eBooks with pricing are available for purchase. All the other items are free. 3. To purchase an eBook, tap on the title. gured a Google Play account with your credit card details, you can do so now. 6. Note that data charges on mobile can be expensive when downloading eBooks. 7. You may, with certain books, be prompted to download embedded video data. We recommend downloading the data to have a richer experience with the eBook. 1. Locate the FM App on your iPad or iPhone and tap on it. 2. Tap on “My Library” to see all the available eBooks. e eBooks with pricing are available for purchase. 5. You will be prompted to enter your “Apple ID Password”. Note that this is your normal password used for all Apple purchases and is in no way related or managed by Future Managers. 6. Tap “Yes” to download the book immediately or “Later” to download it at a later stage. Please note that cellular data costs are high. You may choose to download it later, for example if you are on an ADSL connection as opposed to using a 3G connection. To download it later, simple tap on the title again and once open, tap on “Owned” to download it. When any of our eBooks are updated the Future Managers App will show, “Updates Available”! To update, in you App store, tap on “Update”, select our FM App and “conrm”. corner of the website. Once registered, click on the relevant eBook and follow the normal “checkout” route to purchase your eBook. Two challenges you may need to overcome are your PCs system requirements and the method of payment. Credit cards payments and EFTs are also possible. Our eBooks use Adobe™ Flash Player and although earlier versions may work, our eBooks have been optimised for Adobe™ Flash Player version 11 and we recommend installing it by following this link – http://get.adobe.com/flashplayer/. Institutions can place bulk orders for multiple students at the same time. A once-o registration on Future Manager’s website is required by clicking on “Login/Register” page. As a security measure, kindly email or call Future Managers to activate your account as an institution. Once activated, an additional menu item will appear called “Institutional Purchases”, which will display the page for bulk-institutional-purchasing. Future Managers accepts EFT payments, credit cards or terms for account holders. 1. In your web browser, go to www.futuremanagers.net. • Fill in your details. • Click “register” and look for an activation mail in your email “Inbox”. Note you may need to navigate through your spam/junk mail if you have not received an “activation” email within 5 minutes. • Once you receive a Future Managers email containing an activation link, click on this link to activate your account. • You can now “Login” using your newly created username and password. 4. Once logged in, navigate to the “eBooks” section on the main menu. All existing eBooks should now be visible. c title to the cart straight away by clicking “Add to cart” or you can read more about the title rst and then click on “Proceed” to proceed with your purchase. 6. You have the choice to continue shopping by clicking “Continue Shopping”. 8. Once on the Checkout page, review your order and click on “Checkout”. 10. Review your order and click “Conrm Order”. rm that your order was successfully placed. Click on “Proceed to Payment Page” to continue. Both Institutions and individuals can make payment by means of an EFT or a Credit Card. 1. Since EFT payments are not eective immediately (real time), Future Managers will only issue you with your unique download details once the bank has processed your payment and the monies are reflected in Future Managers account. rmation email with details on how to download the eBook. You will need to log in to the Future Managers website to see this information – see download instructions below! 3. Registration on the Future Managers website and an upfront payment is essential. 1. For payment by credit card, ll in your credit card details on the website and click “Pay now”. 2. If prompted with a question such as, “Save to…” we recommend saving your download to your Desktop. 3. You will be redirected to a page where you can download the eBook – see download instructions below! to download your order again. 1. Our eBooks for PCs use Adobe™ Flash Player and although earlier versions may work, our ebooks have been optimised for Adobe™ Flash Player version 11 and we recommend installing it by following this link – http://get.adobe.com/flashplayer/. Note that certain browsers like Firefox will automatically prompt you to install the latest Flash Player. 2. Click on the link you’ve been provided with to download the eBook. 3. When you click on the provided link you will need to insert your email address and password to view your eBook. 5. Depending on your web browser, you will be given the option to open or save the le. Select the option to save the le and please take note in which folder you save the le. 6. Once the download is completed, locate your eBook in the folder where you saved the le and double click on the eBook icon to open it. It will extract a zip file and create a folder with the same name next to it. 7. Double-click on the folder and if you are on a PC double-click on the executable (.exe) le with the title of the book. If you are using a Mac double-click the green logo with the title of the eBook. 8. You will be prompted to enter your email address and password. Note that although it is an oine version of the eBook, you have to be connected to the Internet for your eBook to authenticate the first time.